Are you looking for a wedding DJ who will go the extra mile to ensure every detail of your wedding party entertainment is perfect? 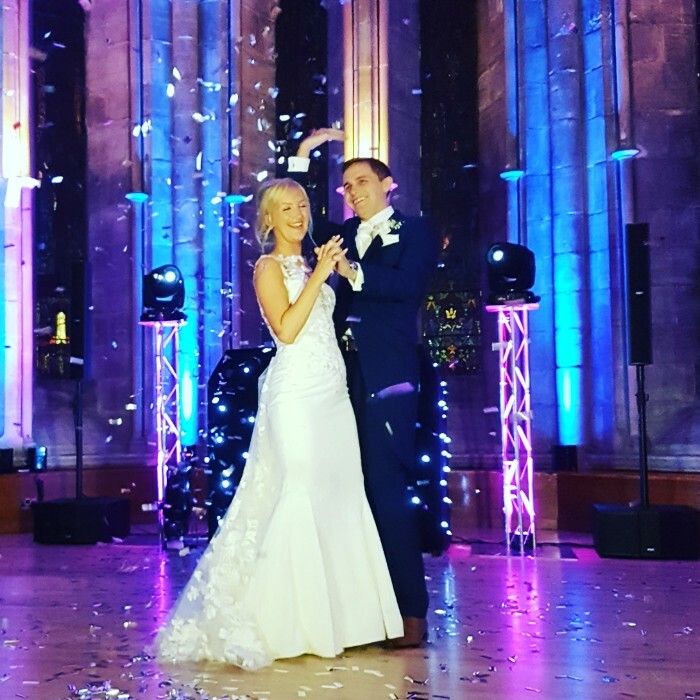 DJ2K are wedding DJ and mobile DJ specialists working in Windsor, Eton, Datchet and throughout Berkshire, Surrey and London. 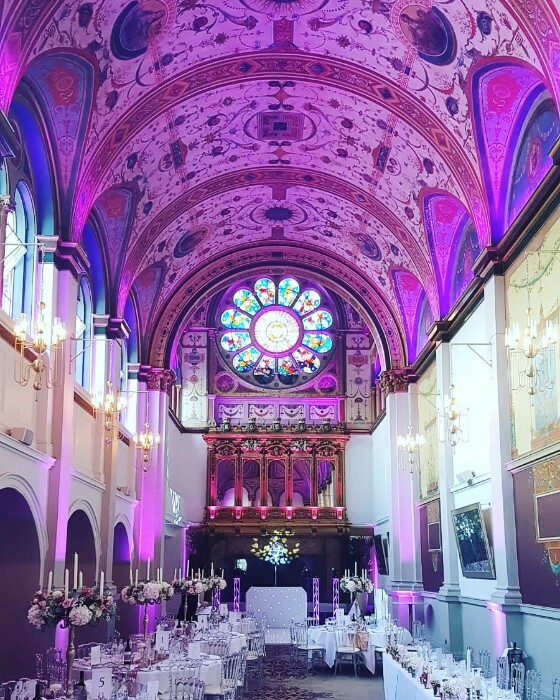 We have provided our DJ services to some of the area’s most beautiful and well-renowned wedding locations, including The Runnymede on Thames Hotel, The Castle Hotel, De Vere Beaumont Estate and Lillibrooke Manor. We take great pride in the fact that we offer a combination of great music tailored to our clients’ requests, alongside the best audio visual equipment and set-ups, guaranteed to create an incredible party atmosphere. We have a vast knowledge of music, which allows us to tailor a programme of music to keep everyone engaged and entertained. No event is too big or small for us; from intimate celebrations to huge parties, we can accommodate and entertain any crowd. Our DJs will take time to get to know you, so they connect with your guests and can curate the perfect playlist. From contemporary tunes to classic floor fillers, they will plan everything, right down to the last detail. DJ2K was founded by Danny Costello, who recruits only the most professional and talented DJs. We know and love music and have won many prestigious awards. Would you like a quote for mobile DJ hire? Please ring our team now on 0800 783 2928. The list of wedding venues in Dorking is vast and we have had the pleasure of providing our wedding dj services in some of the finest. DJ2K provide the best wedding DJ and mobile DJ service and will help to create a party that your guests will remember for many years to come. We can give you valuable help and advice when it comes to planning your wedding. See our blog about wedding music ideas. Our range of premium events packages ensure you will have everything you need. As well as the best set-ups with state-of-the-art audio visual equipment and lighting, we also have a number of optional extras available, including photobooth hire, giant illuminated letters and magic selfie mirrors to keep your guests happy. We use a 5X Playlist, which gives us the opportunity to understand the types of genres and music you love and then our DJs use their extensive experience and knowledge to read the crowd. They really know what they are doing and have worked at thousands of local weddings. We are also happy to take requests on the night. Every aspect of what we do is bespoke to you and designed to exceed your expectations and the feedback we get from our clients is consistently excellent. We have developed a reputation throughout the local regions for being some of the best mobile DJs and party DJs in the area. Whether you are planning a private party, 18th or 21st birthday party, school prom, Christmas party or corporate event, our team offers a fantastic level of expertise. We aim to be a one-stop-shop when it comes to your party planning, so have all the latest sound systems, décor lights and equipment to impress your guests and give them a visual treat. We know that every crowd is unique, which is why we play music that reflects you, your tastes and that will create the wow factor. We also provide party DJ hire in Dorking. We have years of experience working with businesses and brands to create fantastic parties. Whether it is a launch event, a Christmas party or a black tie ball, our team of mobile DJs offer attention to detail, a personal service and a dazzling range of packages to suit your event. Contact us now to discuss your special event on 0800 783 2928 or you can email info@dj2k.co.uk and we will get back to you swiftly.